13 Dec 2018 --- In a milestone moment in the company’s 150 years history, the Bühler Group is creating a new segment, Consumer Foods, from January 1, 2019, in a bid to position itself as leader in the growing consumer foods market. By combining the company’s current chocolate, nuts, bakery and coffee business with the Haas business, the new organization will seek to support customers better in these global markets through simplified interfaces, integrated solutions, innovation and services. The company, which has operated two businesses, Advanced Materials and Grains & Food, says creating the new segment was triggered by the acquisition of the Haas Group, the Austrian maker of wafer, biscuits and confectionery production systems, which became part of the Bühler Group in January of this year. 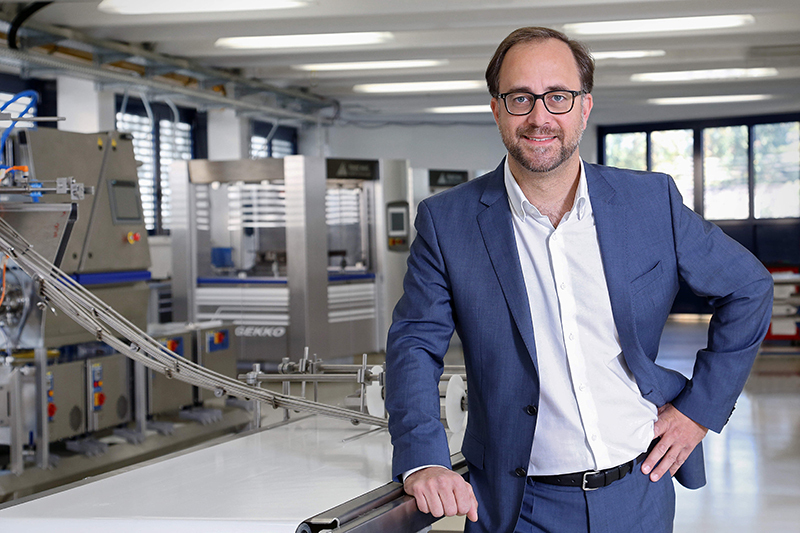 Click to EnlargeGermar Wacker, who is to lead the Bühler Group Consumer Foods segment.Since its acquisition, Haas has operated as a separate Bühler business and the integration comes within a short time. According to Bühler, the new segment aligns the company’s set up and forms a new business “truly focused” on Consumer Foods and confectionery with integrated solutions to produce wafers, biscuits, baked goods, chocolate, pralines, filled products, nuts, coffee, and more. Germar Wacker, now CEO of Haas, will lead the new segment and join Bühler’s Executive Board. The new organization, which combines all consumer foods related technologies and solutions in one segment, is the logical next step to serve customers from one single point of origin, according to Wacker. “With this new, strong business pillar in the field of processing technologies in consumer foods, we can offer specialized knowledge as well as research and development to the needs of our customers in that sector,” he says. “With this move, we can create significant value for our customers and position ourselves as a clear leader in the growing consumer foods market,” adds Bühler CEO Stefan Scheiber. FoodIngredientsFirst has reached out to Bühler for more information on the new Consumer Foods segment. Bühler Group Haas Group Consumer Foods Wafers Biscuits Baked Goods Chocolate Pralines Nuts Coffee Austria.